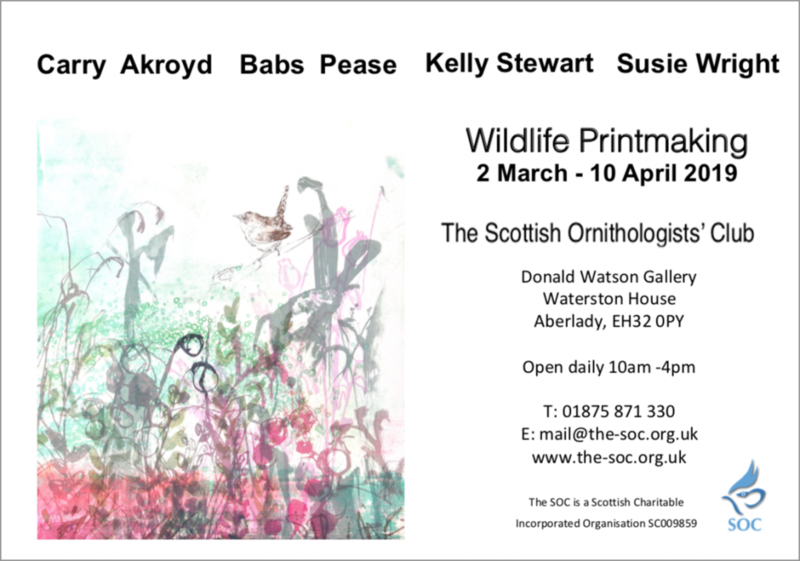 Last week saw the opening of the Wildlife Group Printmaking show, currently on show at the Society Of Ornithologists, Aberlady, in East Lothian. As a continuation of the bird theme I’ve continued experimenting with multiple layers of mark making to create a variety of foliage which are then overlaid via the screenprint process. Sometimes over 12 different layers of foliage, in all unique variations, colours and levels of transparency, resulting in 20 new works, each one unique. 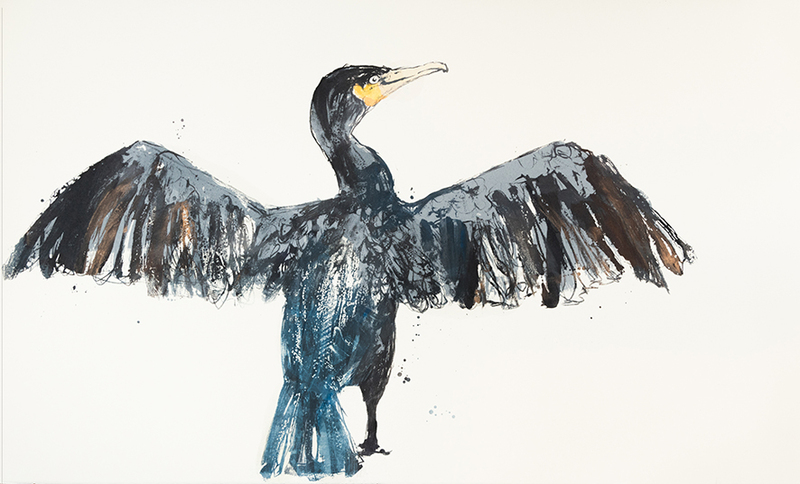 To add to this series I’ve created 3 new limited edition screenprints of Cormorants and Oyster catchers as these are commonly found in the East Lothian area and are absolutely stunning birds with their bright orange and blues as a contrast to the tiny wrens and gold crests. Also in this exhibition features work by Carry Akroyd, Susie Wright and Babs Pease which hangs so beautifully together, offering such a vibrant and exciting body of work. 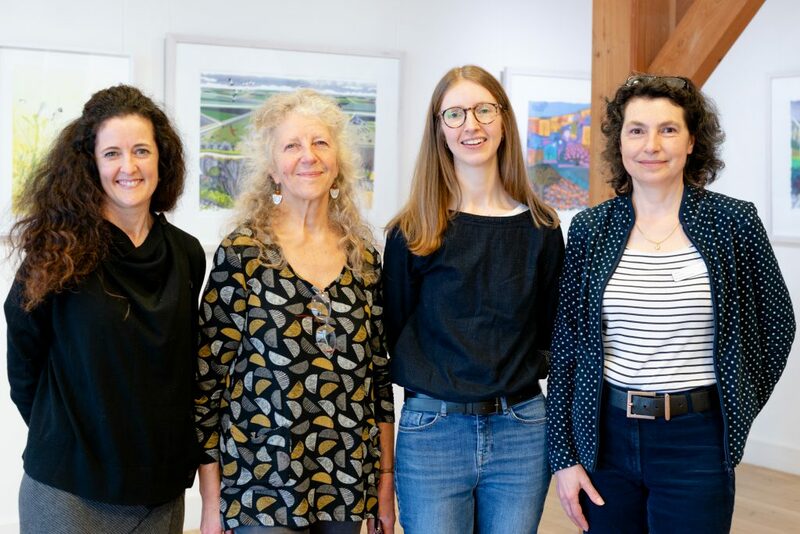 Here are us printmakers, myself, Carry (such a lovely lady who drove all the way up from way down in Northamptonshire), Susie who is a screenprint buddy at Edinburgh Printmakers and Laura Gressani (fellow printmaker and exhibition co ordinator). Babs had left by the time we got to the photo shoot which is a shame. This is the relaxing view from the Gallery, out to the marshes and a Japanese style garden. 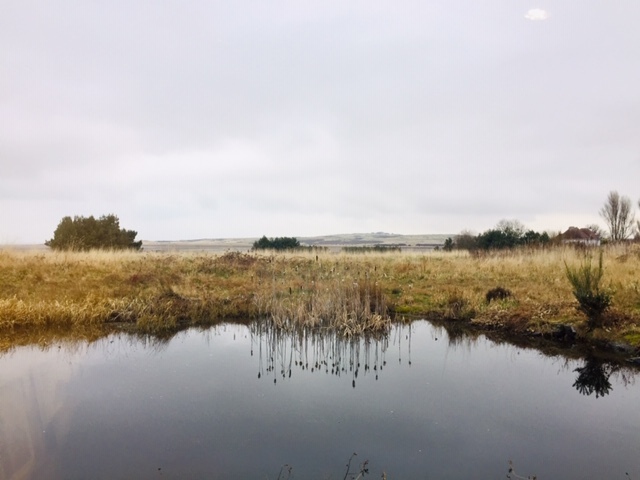 It’s a beautiful space to visit, and takes 30 mins by car or public transport to Aberlady.